Just like people, food when it is simple and honest and doesn’t pretened to be something it’s not is quite a beautiful thing. This was our experience recently when we discovered a small, corner restaurant with no more than eight tables called Fusion Burgers in Highland Park. Setting the scene: graffiti etched windows, wrought iron bars on the door, bare bulb ceiling fans, and less than a dozen tables with plastic chairs. Once you get past all that, you also notice the warmth of the place. 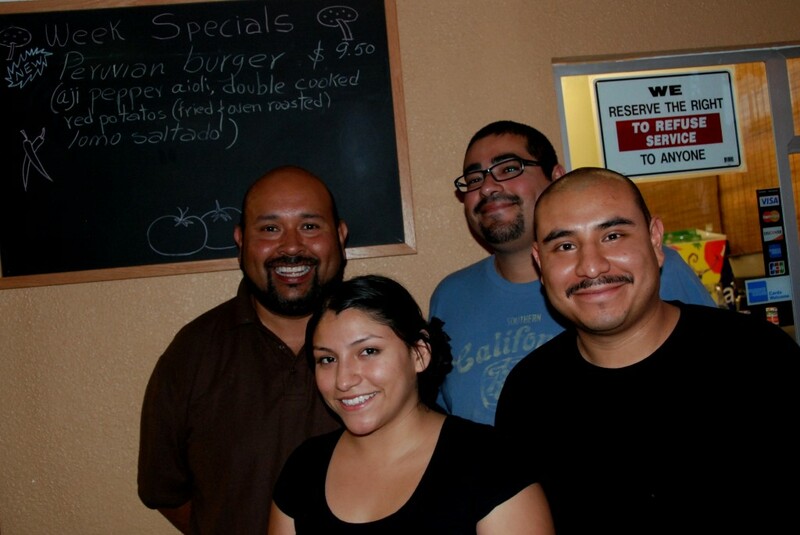 For a place lacking art work, carpet, exposed wood beams or a fire place, it still felt homey and warm; no doubt the presence of the Muñoz brother-sister team Betty & Luis has something to do with it. Prices are reasonable with most burgers under $10 and sides under $4. Setting the vibe: It’s another new restaurant on York Boulevard in the now-trendy neighborhood of Highland Park. Hipsters and families with children populate the place, with many more always waiting hungrily outside to snag one of the eight tables. This is a family-owned and operated restaurant, and the Muñoz family will greet you honestly and sincerly, just like their burgers. Setting the table: Every burger is prepared to a mouthwatering medium. The burgers come enveloped in a gorgeous sesame seed brioche bun. The soft cloud-like brioche has been my new go-to burger bun since culinary school, and Fusion’s buns don’t disappoint. The idea here is pretty simple: themed burgers. The Mexican burger comes with pineapple and al pastor, oh and the patty. The Noir Burger has boschetto a al tartufo (a type of cow’s and sheep’s milk with truffle) and a pinot noir sauce. 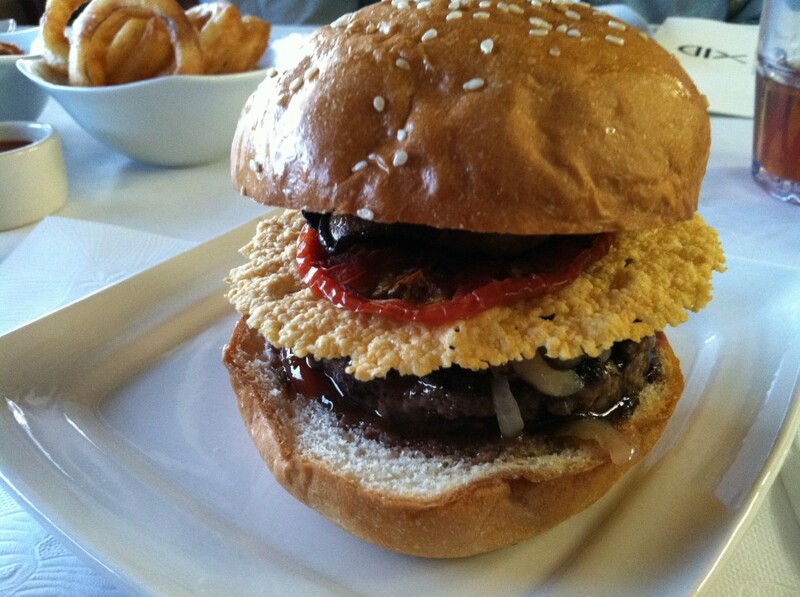 The Parmigiano Burger has a big ‘ol parmesan crisp with sun dried tomatoes and shitake mushroom. 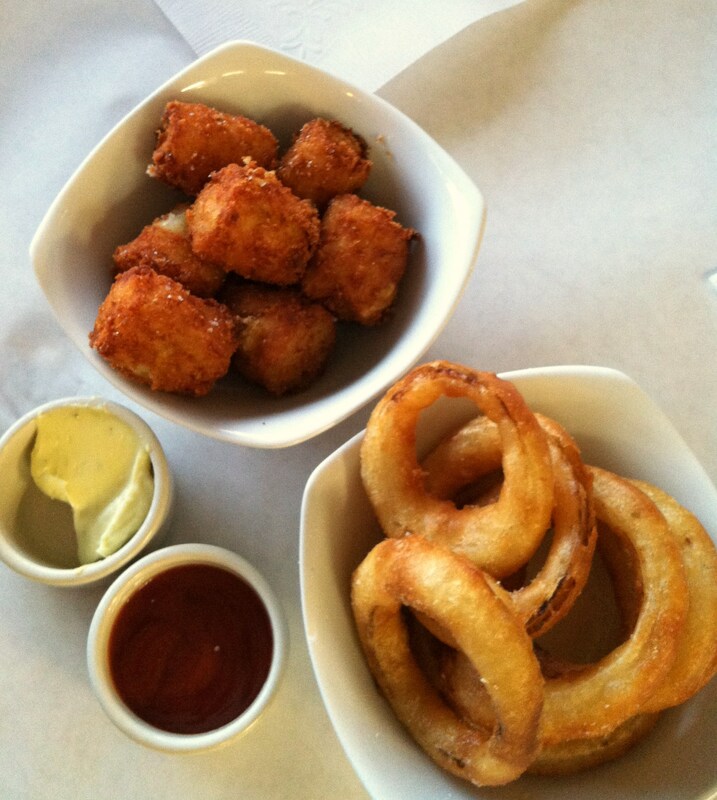 The unfortunately named Lard-O-Rings has pancetta and onion rings, though no actual lardo. They also have a turkey burger, chicken/turkey burger, pork patty, vegan burger, an Ahi burger, and a good old fashioned chili cheese burger. Drinks include Mexican and vintage sodas. We couldn’t fit dessert into the meal, but they have four and they are all over the place: African Honey & Yogurt, Italian styled panna cotta, fruit salad, and ice cream. Fusion also has a “Special of the Day” and the restaurant is open to customer suggestions. The day we went the special was the Peruvian Burger. Its bun was lite and airy, the patty was juicy, and the lomo saltado only added to this lavish burger. While not the traditional double fried french fries, they use thin slices of double cooked potatoes. Delicious. 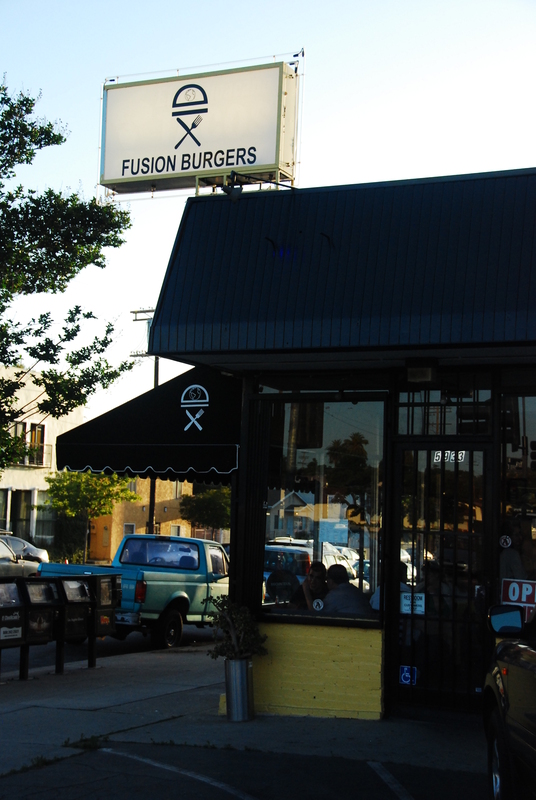 Fusion Burgers: 5933 York Boulevard, Los Angeles, CA 90042.